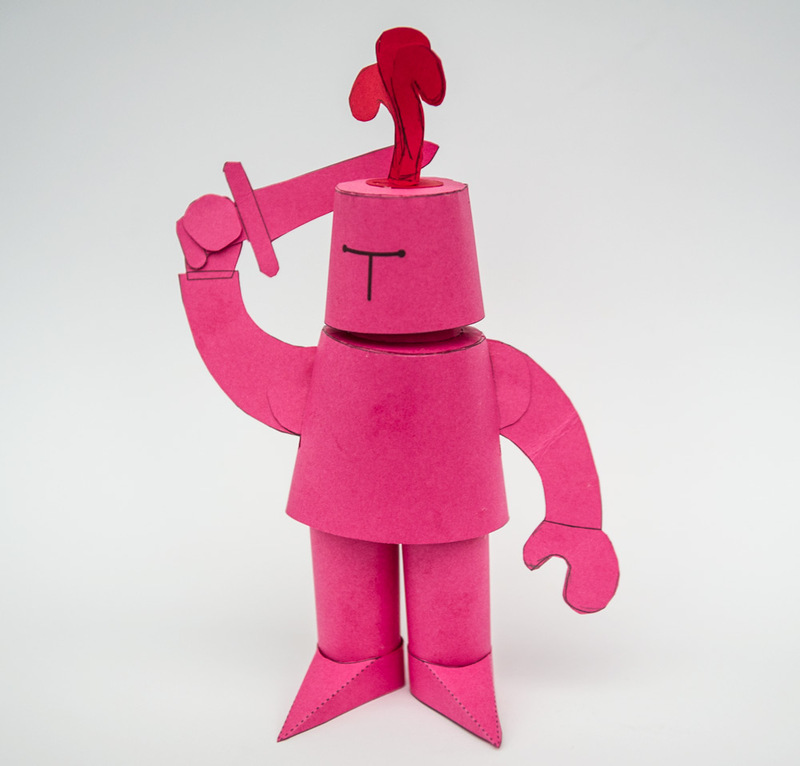 I'm working on a character that will work as a stand alone papertoy and will also be useable as the starting point for a possible paper animation. If you follow me on Instagram you will have already seen the freehand version I made yesterday – Today I have taken that model, cut it up, scanned the parts and prepared a digital file. 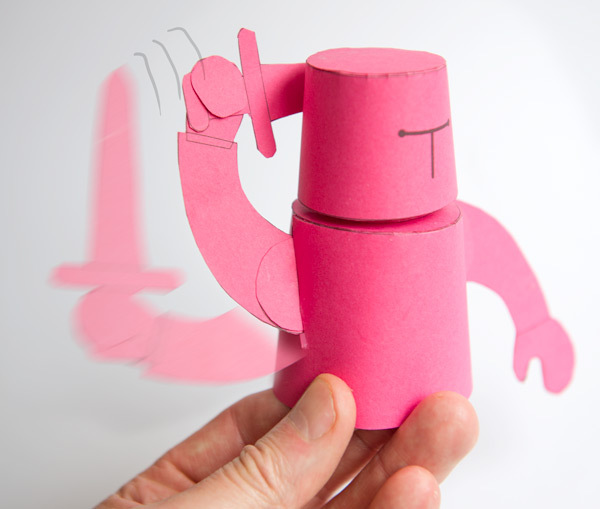 Here is the paper knight printed and cut out onto coloured card. There are a few small changes needed then I'll be adding colour and details such as rivets to complete the layout. 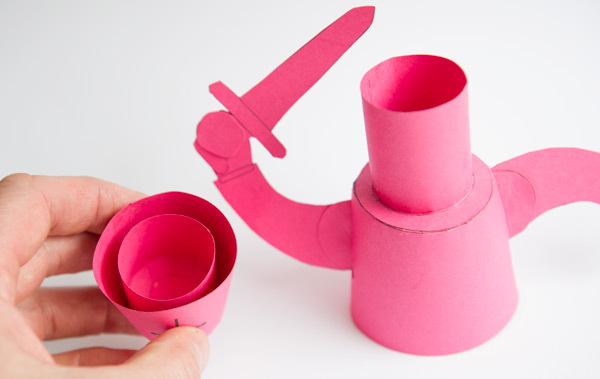 The helmet fits into place one tube inside the other allowing the head to rotate. I've made the arms moveable using the same mechanism I used for the tail in the poseable dog model. 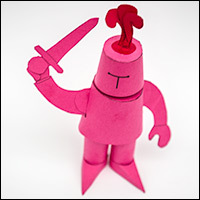 I'm away for a couple of days then I'll be finishing off the paper knight as a downloadable project! Ni! the friction lock that you use for your pose able models works good for stand alone models but the friction lock makes it hard for a mechanism to move so to use as an animated model it would have to be modified.but the idea sounds like a very nice idea.